What is a better than one bottle of bubbly? Two! 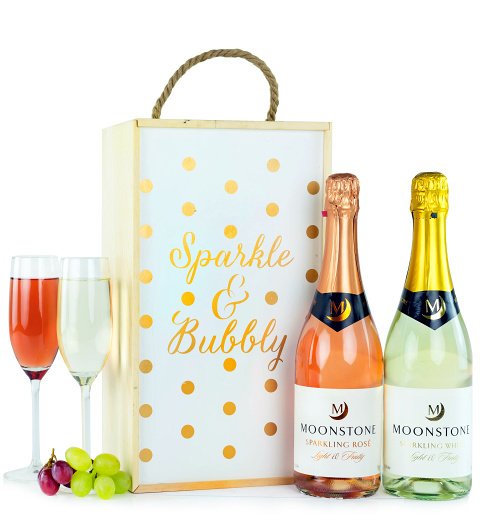 We have selected two delicious sparkling wines by Moonstone, a brut and a rose each 75cl, to make a classy gift perfect for any special occasion. Both bottles are beautifully presented in this fantastic wooden presentation case.